With life’s hectic pace and the amount of stress most humans face, quieting the mind and finding a little peace can be a challenge these days. While meditation has been practiced for thousands of years, there’s been a recent surge of interest from a wider audience. 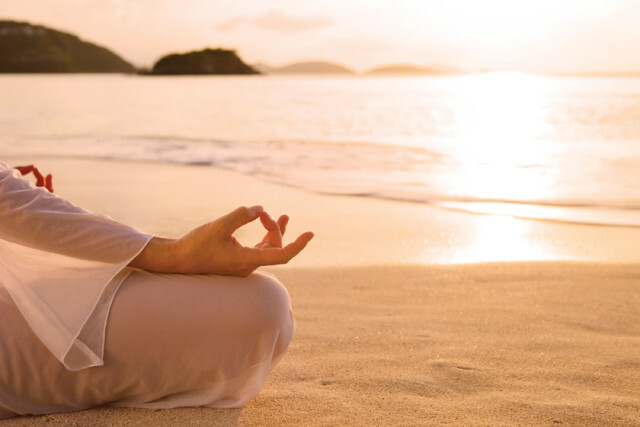 Luminaries like Oprah haven been spreading the good word about its benefits; health conscious actors like Angelina Jolie and Gwyneth Paltrow practice it, and spiritual advisors such as His Holiness the Dalai Lama and Deepak Chopra have long held the belief that that meditation is good for the spirit and humanity as a whole. But now, present-day scientific studies and evidence-based research are pointing to specific long-term health benefits of meditation. A Harvard-affiliated study in 2011 showed that measurable changes in the brain associated with stress, empathy, memory and sense of self were seen in participants of a mindfulness meditation program. In North County San Diego, The Chopra Center has been working with local Scripps scientists to study the positive effects of meditation by measuring heart rates and brain waves of participants in meditation workshops. Dr. Chopra has also partnered with Nobel Prize winner Elizabeth Blackburn to further explore the effects of meditation on telomeres, as studies show that meditation can increase telomeres, which can slow the biological clock and enhance longevity. Meditation can also counteract the negative results of stress. It can slow the heart rate, lower blood pressure and improve the immune system. Throughout San Diego there are several places to learn how to meditate or continue your practice. The Chopra Center offers a free introductory meditation class every Friday from 2:00 to 3:00 PM, along with several weekly free group meditations. For those that want to dig a little deeper there are private one-on-one sessions and three-day meditation workshops where you receive a personal mantra for your practice. Dr. Guarneri, a cardiologist and owner of an integrative health and wellness center, believes that “Meditation decreases the risk of a cardiovascular event by 48 percent.” This would explain why group meditation classes are offered at her center. At the Sonima Wellness Center in Encinitas, daily guided meditation classes are a great way to develop one’s practice in the welcoming company of fellow meditators. After, organic fresh pressed juices, super food smoothies and gourmet vegan cuisine await in the center’s café. The lovely cliff-side gardens at the Self Realization Fellowship Temple in Encinitas have many quiet nooks with benches tucked throughout the grounds, ideal for some quiet reflection in an ocean breeze. The temple is part of the organization founded by Paramahansa Yogananda in 1920 to teach the scientific techniques of meditation. At both the temple and nearby chapel, anyone is welcome to join their group meditation gatherings each week. The public is also invited to join the group meditation services at the Self Realization Temple in Escondido. Basic instruction in technique is provided for beginners and the 45-minute sessions occur every day except for Tuesday. Another tranquil spot in Escondido, the Deer Park Monastery is a 400-acre sanctuary in the mountains, established by Zen Master Thich Nhat Hanh, as a place to share the practice of mindful living. A community of monastic and lay practitioners live onsite, but anyone, with or without a meditation background, can enjoy this natural haven on specified calendar dates. Their Day of Mindfulness experience includes outdoor walking meditations, Dharma talks, meals in silence and a chance to explore the gardens and nature trails. Deer Park Monastery also welcomes children on certain dates for inspiring games and activities including art, meditation, nature walks, and singing. A spa experience is no longer considered just an indulgent day of pampering, as taking the time to de-stress and calm the body and mind has myriad health and wellness benefits. While not everyone can afford the high prices at many luxurious destination spas and hotels, San Diego has some reasonably priced gems tucked throughout town, where a little relaxation and rejuvenation doesn’t have to break the bank. Off Convoy Street in Kearney Mesa, Happy Buddha specializes in Chinese reflexology. Eight comfy maroon recliners welcome guests to sit back and relax. After soaking your feet in hot water infused with Chinese herbs and enjoying a head, neck and back massage for 20 minutes, each foot receives 20 heavenly minutes of reflexology, believed stimulate elimination, improve circulation and support the immune system. All for $29.99. Afterward, drift next door to the famous Dumpling Inn for authentic northern Chinese fare. At Massage Thai Way in Linda Vista and Mission Valley, an authentic 60-minute Thai massage only costs $45. White curtains separate long firm mattresses where expert Thai therapists perform deep massage and stretching techniques to elongate the body, improve posture, open up energy blockage and improve circulation. 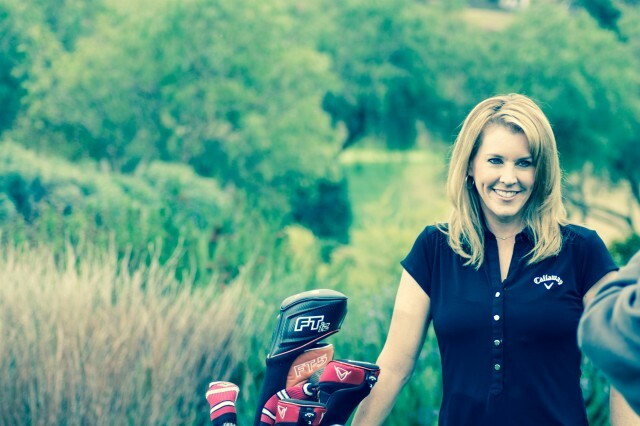 Karma Spa has two locations, one in Hillcrest, the other in Carlsbad. 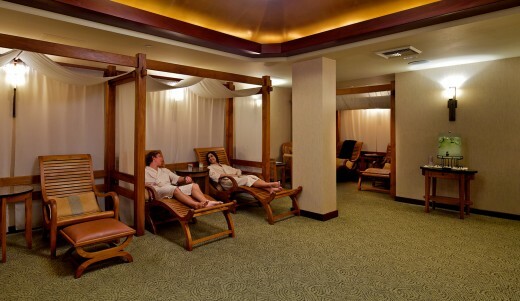 These pretty spas, which incorporate colorful lighting and soothing water features, offer an excellent menu of deluxe treatments such as hot stone and couples massage, French facials, infrared sauna therapy and ionic detoxing footbaths. Brow waxing runs only $10 and their Foot and Body Fusion Massage is a mere $36. The friendly therapists are well-trained and the prices are more than fair, making it possible for many people to reap the benefits of a spa day. In Ocean Beach, The Hidden Spa is another affordable sanctuary with some of the best deals on skin care in the city. 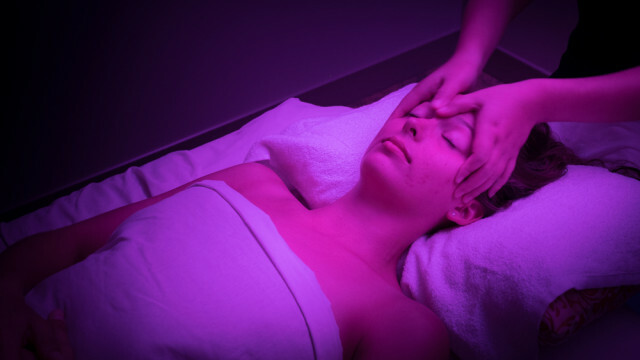 Their European Facial, performed by skillful estheticians, involves a deep cleanse, exfoliation, gentle extractions, massage, aromatherapy, and mask, which costs only $60. Their mini-facial, a 30-minute skin refresher and hydration treatment is $40. While Massage Envy are membership spas, they can be found all over the country, so it’s worth joining if you can commit to a monthly massage. These no-frills franchises are clean, home to good therapists and make it possible to get a solid one-hour massage for $59 and under. Please note: Spa prices are as of May 2015. Spring is just around the corner, and what better way to celebrate than with a rejuvenating treatment at some of San Diego’s best spas! From a floating couple’s massage to a tranquility facial, you’ll find everything your mind, body and spirit need to get you ready for Spring. The full-service Rock Spa, at Hard Rock Hotel San Diego, gives you everything you need to recharge for the night ahead – or decompress after the one you’ve just had. Rock Spa current specials include the “Tension Tamer Massage” (50 min $95) designed to combat stress and fatigue with Swedish and Deep Tissue techniques combined with a special muscle and joint cream to eliminate tension and ease sore muscles. Need a little polish? Try the “Glycolic Resurfacing Treatment” (25 min $40). Skin is renewed and vibrant after this “no down time” glycolic peel. The Loews Coronado Bay Resort takes romance and relaxation to a whole new level with the floating couples massage. The Voga Voyage is enjoyed while cruising through the canals and waterways of the Coronado Cays in an authentic Venetian gondola equipped with two professional massage beds. Complimentary champagne and chocolate-covered strawberries are enjoyed after the relaxing 40-minute massage. The Voga Voyage starts at $400 per couple. 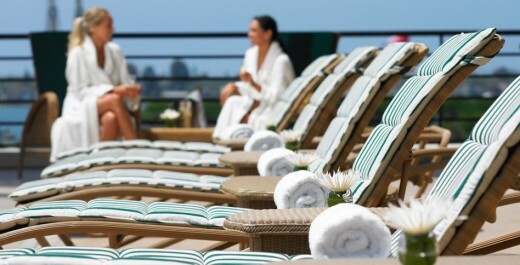 Located inside the Manchester Grand Hyatt and overlooking the San Diego Bay is the Kin Spa. Unwind with a Swedish Massage (45 min), their most popular treatment, or try the Tranquility Facial (45 min). The facial includes a collection of seaweed and algae, rich in enzymes, essential minerals and vitamins followed by a warm, energizing gree tea and ginger mud mask. Each treatment is only $100 Monday-Thursday during the month of March, 2012. 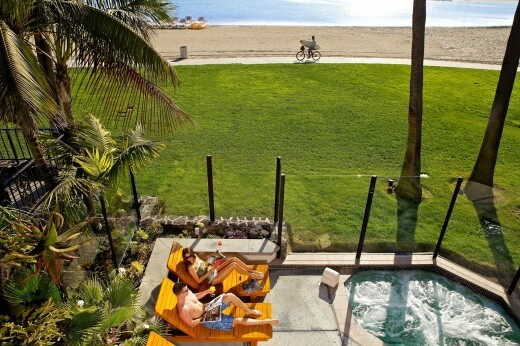 Be ready to say aaahh…Tell us, what is your favorite spa in San Diego? Today is Random Acts of Kindness Day! My Random Act of Kindness came a little early when the Kin Spa at the Manchester Grand Hyatt San Diego recently invited me to experience one of their fabulous massages. 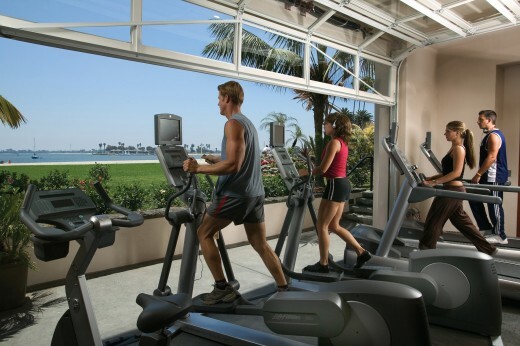 From the moment I walked through the spa doors I was met with luxurious surroundings and inspiring views of San Diego Bay and the Pacific Ocean. After a hectic day, I immediately felt myself unwind, ready take in the bliss I was about to experience. 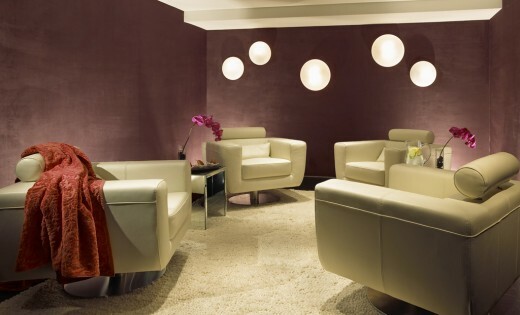 A new addition to the Manchester Grand Hyatt, Kin Spa offers a full menu of services that include massages, body scrubs, facials, manicures, pedicures, hair care and more. After getting a quick lay of the land, I slipped into a comfy robe and slippers and relaxed in the lounge as I waited for my massage. After enjoying some soothing tea and getting into a tranquil spa spirit, I was brought into one of their eight treatment rooms, each exquisitely designed to provide guests with ultimate in therapeutic relaxation. And relaxed I was! My massage therapist was amazing and worked out every kink I knew I had, and others I didn’t know even know I had. I left feeling refreshed and rejuvenated, and so grateful for this random act of bliss. Thank you Kin Spa! Interested in trying out Kin Spa? Comment on our blog and one person will win 60-minute Swedish massage compliments of Kin Spa and the Manchester Grand Hyatt. Remember to bring your bathing suit and arrive early so that you can soak up the sun and take advantage of the complete spa experience, including a lounging pool, steam room, sauna and fitness center. Winner chosen Tuesday, February 21, 2012 10:00 a.m. pst.